The automotive industry is incredibly competitive when it comes to search engine marketing. To rise to the competition requires in-depth local SEO knowledge and PPC know-how. This session offers strategies for search marketing, both paid and organic, that all marketers can use. 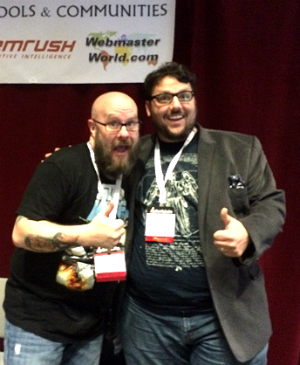 Our speakers are Ira Kates, who will speak to paid search, and Greg Gifford, who addresses organic local SEO. Ira cooked for 10 years and he’s noticed that lessons from chefs in the kitchen have application to search. Today he’ll use lessons from chefs he admires to illustrate ways to compete in PPC. It’s a crazy competitive time to be in the automotive PPC industry, Kates explains. Is the structure of your account contributing to the theme you want to tell your prospective car buyer? The lifeblood of paid search is match type. You don’t want to compete against yourself. 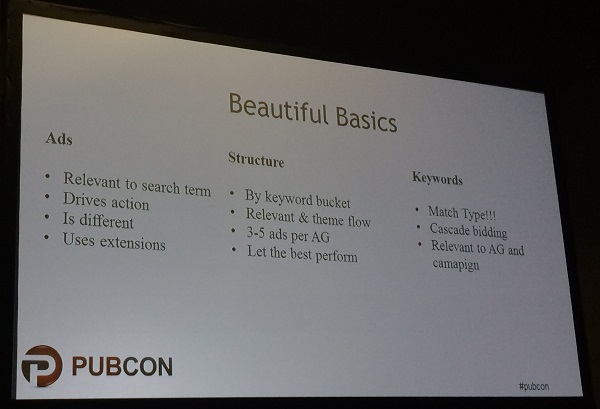 Funnel everything toward best performing keyword. If you break this funnel down, there are funnels within funnels. At the national level, you’re looking at people viewing galleries, comparing specs, taking an action that they’re very interested in what the car is offering. 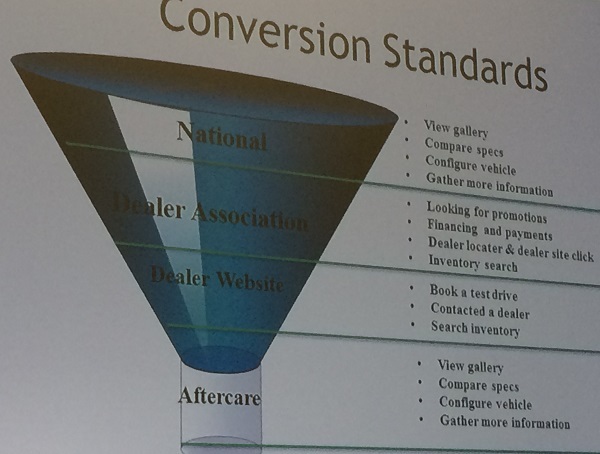 For dealer associations, ask questions of what the purpose of the organization is to support the funnel. At the dealer level, he explains to customers that “these are the actions” we’re looking to get (book a test drive, contact dealer, search inventory). “Aftercare” is a new area in the funnel that Ira’s added to this visual aid since last year’s presentations. 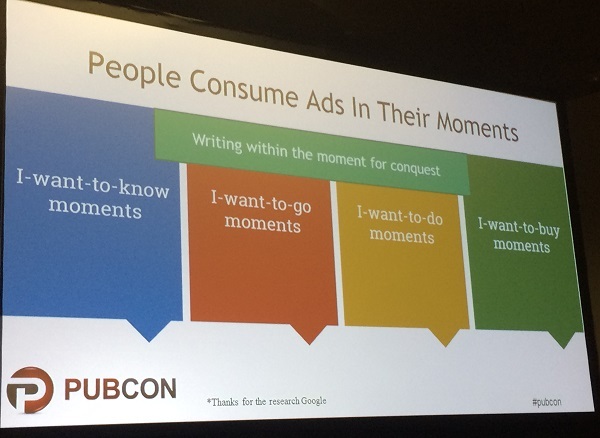 Why not focus on this, especially with remarketing available? If you’re acquiring a new PPC account, take the campaign down for a couple weeks and scrub the account to apply the fundamentals. Implementing a simple, revised negative keyword list, for example, can result in lower CPA and CPC and you can take that new funding to reinvest in winners. A meal tells a story of how it came to your plate. You eat with your eyes as well as your other senses. Your ad needs to tell the story of why someone needs to do something. 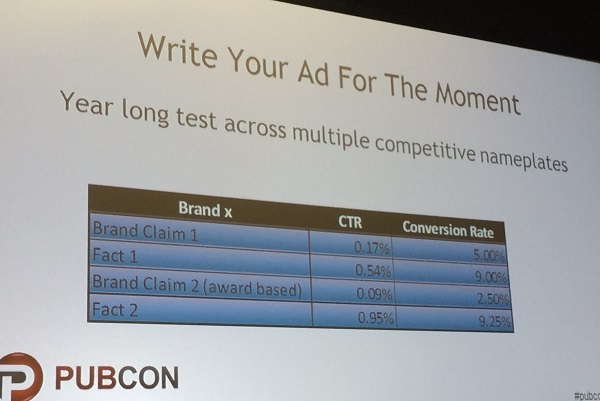 You can see a huge gap of almost doubled conversion rates in the results. Use the geo-gating built into AdWords and focus on people a mile or two within your lot. That’s how you can test claims like this. These are fun headlines. For a national brand to do this adds character to the SERP. Don’t be afraid to test. Start small and prove something with a little test on one ad group. This is especially true at the dealership level because 90% of competitors aren’t testing and experimenting; they aren’t rotating their ad creative out enough. Pay attention to things like “ga(require, displayfeatures)”. Build up audiences and bucket them. Now you can test your ad copy and speak to these people again. 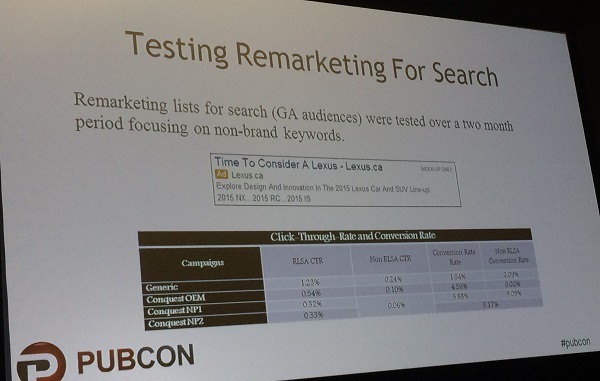 Test remarketing audiences for search. He tested Remarketing Audiences in Google Analytics over a two-month period focusing on non-brand keywords. The conversions they’re driving are dealership leads. Favorite research method: Use SEMRush to find competitor’s top SEO keywords that aren’t super competitive and focus limited conquest dollars against those keywords. 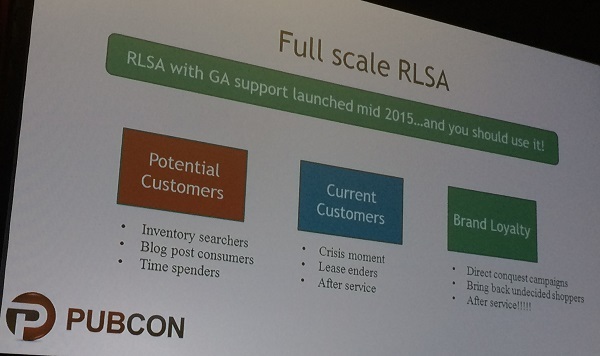 Jump on Google Customer Match – announced 2 weeks ago – to be ahead of the curve. You can use this to stop your customers from going to a third-tier oil change business. The most powerful use case for Google Customer Match is you know exactly what customer is ending their lease in 3 months. Why not talk to them when they’re starting their research on search? Finally, here are flags to watch out for if someone comes to your dealership and says they want your digital business. They should be able to speak to all these things. These local SEO tips will help your dealerships. Check out the weekly Wednesday workshop video on the DealerOn blog. Local SEO is a tough puzzle to crack. You can’t skate by because otherwise you’re blending into the background and will be invisible to customers. He’s going to show us the code behind the Google algo. The automotive niche is crazy competitive, second only to maybe payday loans, bankruptcy attorneys and divorce attorneys. Every major market has 300-600 dealerships (used and new) competing for top SERP spots. No one understands local SEO is different than web search SEO. Local SEO is an easy win because no one is doing it. Do the extra stuff and blow past everyone not doing it. It changes all the time so it’s important to keep up to date and update your strategy. The rest of the presentation covers the findings of the newly released study Local Search Ranking Factors Study (LSRF). 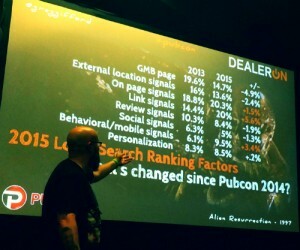 What’s changed since Pubcon 2014? See the image to the right. The most important question to ask is why do you deserve to rank? Content matters but don’t take that the wrong way. It’s quality of content and not quantity of content. Don’t push out so much junk. Stop trying to fool the nerds at Google. Write your content for people, not search engines. For local search, when you put anything on your site, do it to make your website better for your customers. Be unique and useful. PRO TIP: read your content out loud to someone else. This is how you can hear if the content is helpful. 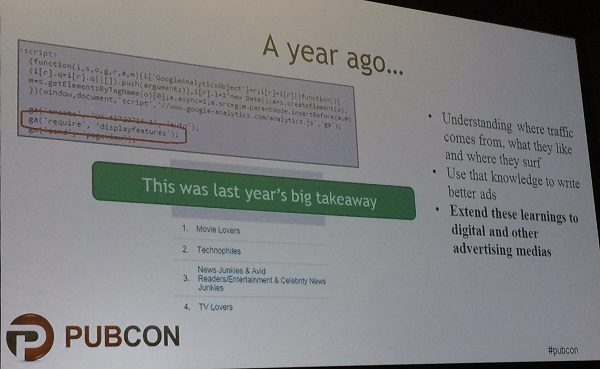 Pay attention to internal linking! Most dealers have a ton of citation problems. Your citations have to be 100% consistent. 88% of consumers trust online reviews as much as reviews from friends or family. 4 out of 5 people will decide not to do business with you if you have bad reviews. You can’t fake good reviews. You can’t fake caring about your customers. He turns down business from shady car dealerships. You have to be legit before you do SEO. Don’t ignore Yelp; it powers the stars on Apple Maps. Make sure you have more reviews than your competitors. You need five before you get the aggregate star ratings. Get more reviews but not too many more; customers will think you’re faking results. Bonus tip: Don’t tether Facebook and Twitter. Use any of the many tools that you can post to both at the same time without it looking to the user like it’s out of place in the native environment. Glad to hear it! Thanks for reading, Chalat. Siloing is site structure and linking that clarifies themes and topics of a site so you can best communicate your expertise. A topic worth further research, as we’ve seen clients multiply their traffic many times over after putting solid siloing in place. Thanks for reading, eCreations. Yelp has had some dark days where they had questionable business practices. I think they have moved beyond that now. However, they are like the IRS. They can not be ignored. You need to claim your listing, fill it out as completely as possible with lots of pictures and get as many good reviews as you can. Yelp reviews can show up on Apple, Yahoo and Bing. I do like the information on Silo’s. I have not heard that term before.